The field of dentistry is constantly evolving to take advantage of advances in technology. This means that new materials are often being developed to make dental restorations stronger while appearing more like the natural teeth. In fact, it is thought that even more improvements are on the horizon, with the use of bioactive glass potentially popping up in fillings of the future. The recent discovery regarding the potential use of bioactive glass was made by engineers with Oregon State University. Bioactive glass is a type of crushed glass material that is thought to interact with the body. For decades, it has been used for healing the bone, but it is only beginning to be examined for its use in dentistry.With this information, researchers examined how bioactive glass might work with dental restorations. They found that bioactive glass could actually hinder bacteria in the mouth, reducing their ability to attack composite fillings. These fillings are also thought to be promising when it comes to replacing minerals that might have been lost as a result of decay. This study is important because it could potentially extend out the life of composite fillings, which would be a promising advance in dental treatment. 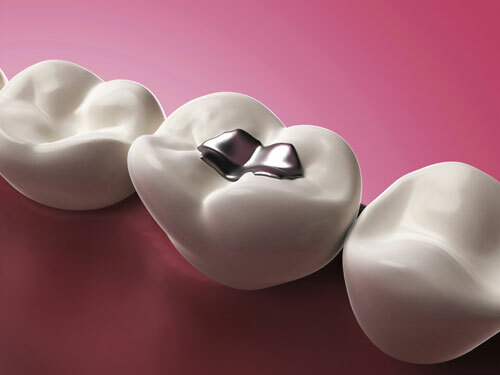 It is thought that over 122 million composite fillings are created in the U.S. each year, so finding ways to make them stronger and more durable could be a great advance. In addition to prolonging the life of fillings, bioactive glass could also slow secondary tooth decay. This could prevent the need for future restorations or fillings. If you are in need of a filling for a cavity, it is important to consider your options wisely, as the days of just having metal fillings and no other options are long gone. Please contact us about your options, and look forward to the availability of bioactive glass fillings in the future.